Ultra-High Temperature (UHT) laboratory furnace with rapid heating rates of 100°C/Sec and maximum temperature﻿ up to 2400°C/4352°F﻿ operating in vacuum, argon, and hydrogen atmosphere within graphite heating environment. Get to target temperature within 10 minutes! High Temperature HTT-G furnaces are unique instruments designed for rapid high temperature processing of materials. Specific feature of HTT-G furnaces is that all parts working at high temperature in a wide range from 300°C (572°F)﻿﻿ to 2400°C (4352°F) ﻿﻿are made of graphite. Uniquely designed heating element enables rapid heating and cooling rates as fast as 100°C/second, and﻿ especially advantageous for processing of materials with poor stability at high temperatures. One example of such material is diamond, which undergoes graphitization when heated for prolonged time at temperatures over 1800°C. High temperature chamber of HTT-G furnaces is designed for work in vacuum and in atmosphere of non-oxidizing gasses (e.g. nitrogen, argon, hydrogen) and gaseous mixes ﻿. "Comparison of HPHT and LPHT annealing of Ib synthetic diamond﻿" - Low Pressure High Temperature (LPHT) Treatment of synthetic CVD Diamond for clearing, spectral broadening, and luminescence enhancement purposes at temperatures up to 2000°C﻿ in vacuum and hydrogen atmosphere with minimal graphitization. 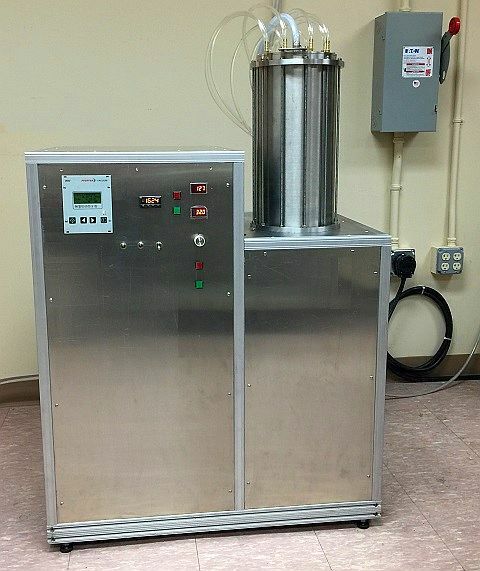 Inert Gas Atmosphere (IGA) option enables sample processing in Nitrogen, Argon, Carbon Dioxide, and similar non-reactive gas atmosphere. 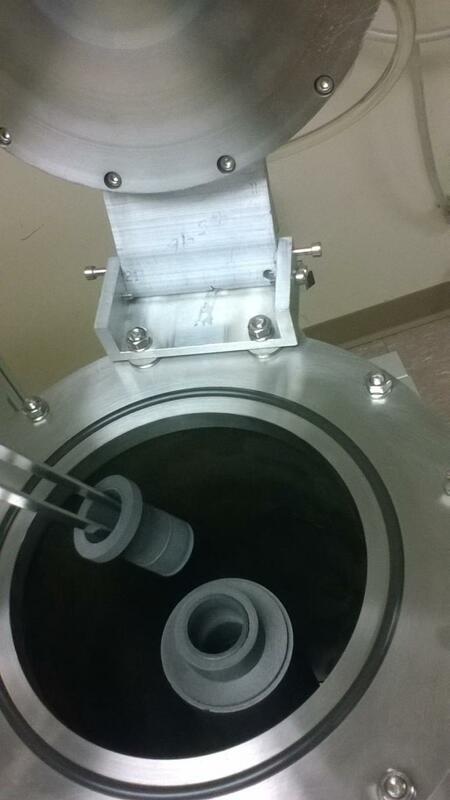 Reducing Gas Atmosphere (RGA) option requires HV or AHV vacuum hardware and enables sample processing in the atmosphere of Hydrogen and its mixtures with inert gases. PBS&T, MEO Engineering Company, Inc. All rights reserved.